Located in the heart of the Exchange, chef Mandel Hitzer has created the restaurant of his dreams. Full of friends, laughter and music, deer + almond serves tapas-style dishes, perfect for sharing in a relaxed and comfy environment. deer + almond is all about great food, fun times and building a strong community in the Exchange District. Whether popping up at Rainbow Trout festival in July, or on the frozen river in February, we are committed to keeping food fun, fantastic and gourmet. Formerly of Fresh Cafe, Mandel has surrounded himself with a warm and experienced team, transforming the quaint space on Princess and McDermot into one of the most acclaimed slow food restaurants in the city. Having spent more than half of his life in kitchens, he got his start at haute-cuisine restaurant, Glutton's under celebrated Japanese chef, Makoto Ono. In 2010, he paired up with chef and artist, Cyrus Smith and brought the term "pop-up" to Winnipeg, hosting "secret dinners" to explore their skills and ideas. 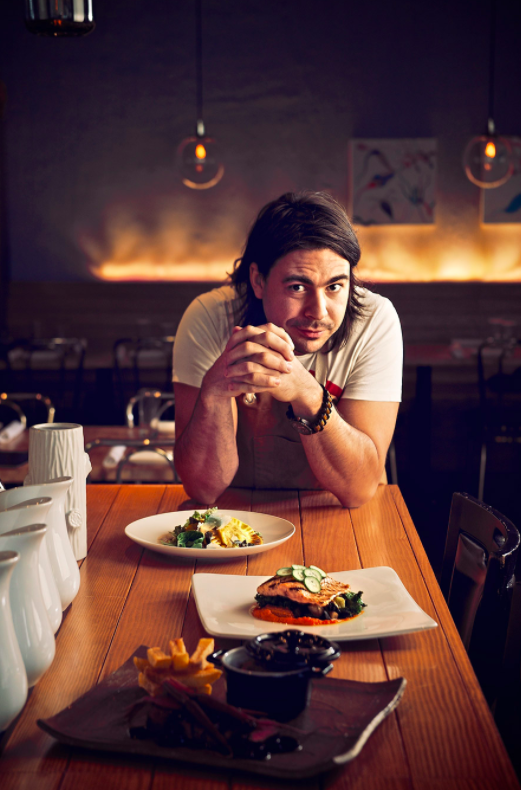 In 2011, Mandel opened deer + almond, giving him a stage to bring his newest concepts to Winnipeg food lovers.